A few days ago I posted about building an inexpensive 3 stage filter for our constant height aquaponics system in the greenhouse. My intent at the time, instead of trying to put a drain in it was to just remove it from the system and clean it about once per month. But plans always evolve! 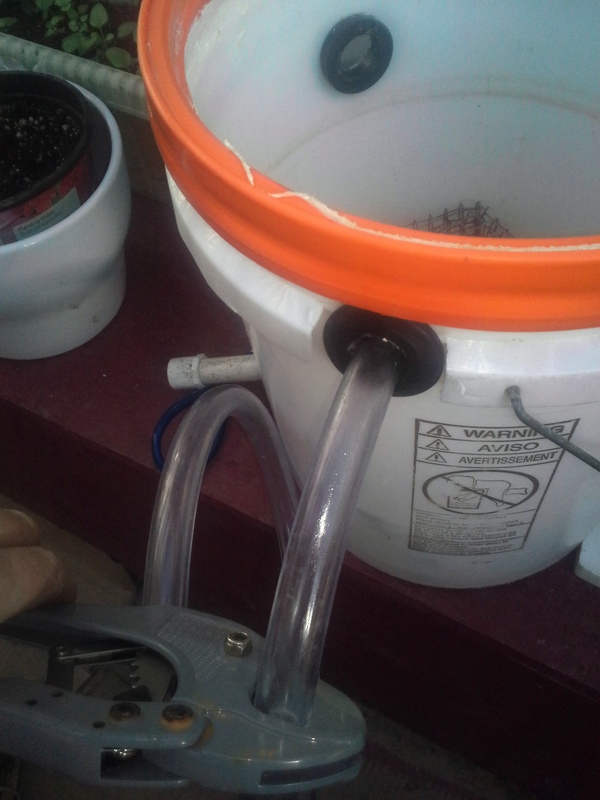 A friend of mine stopped by and showed me a really great way to evacuate the fish solids without having to remove or break down the filter. 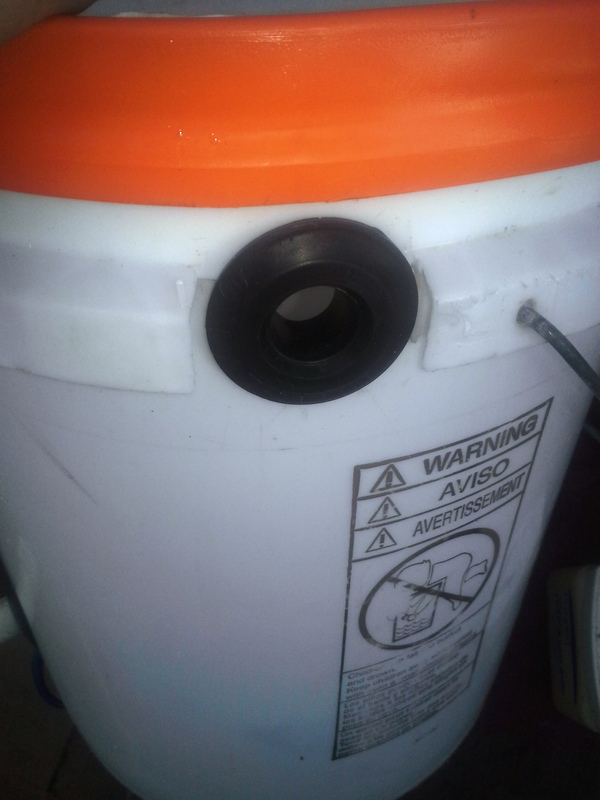 Step One:add a 1/2″ uniseal toward the top of the bucket-higher than drain pipe. Step two: Cut a small square access in bottom “table” to allow flex line to reach bottom of bucket. 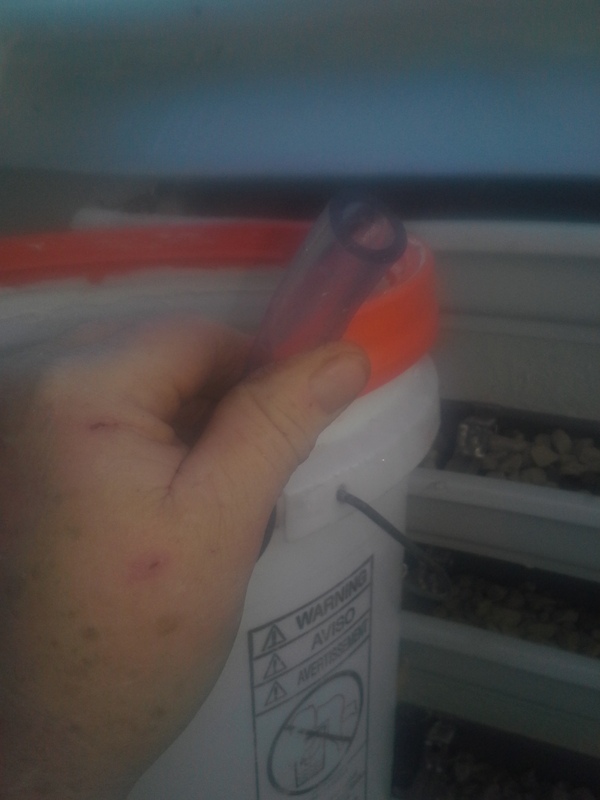 Install filter back to system and fill bucket as normal. 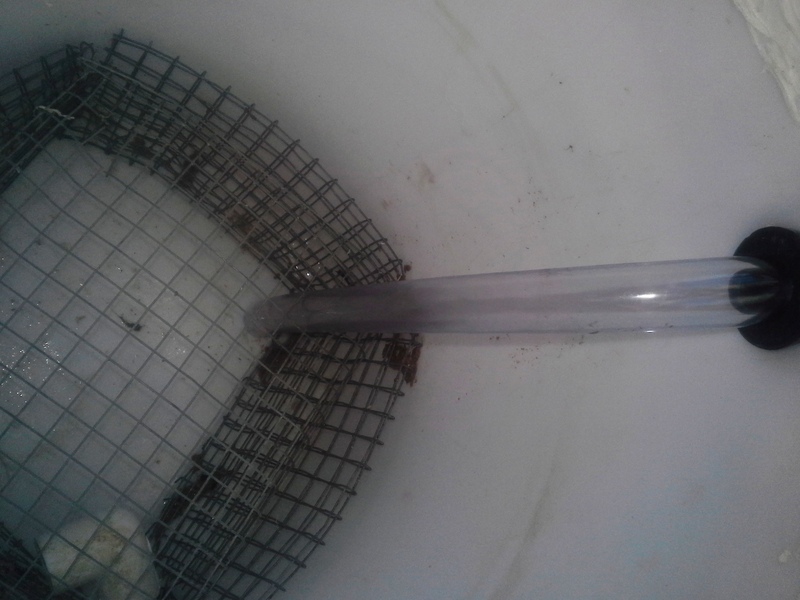 When full to normal level, add more water to get level above drain tube just installed. Be sure to have a bucket under drain tube so it does not overflow to floor. 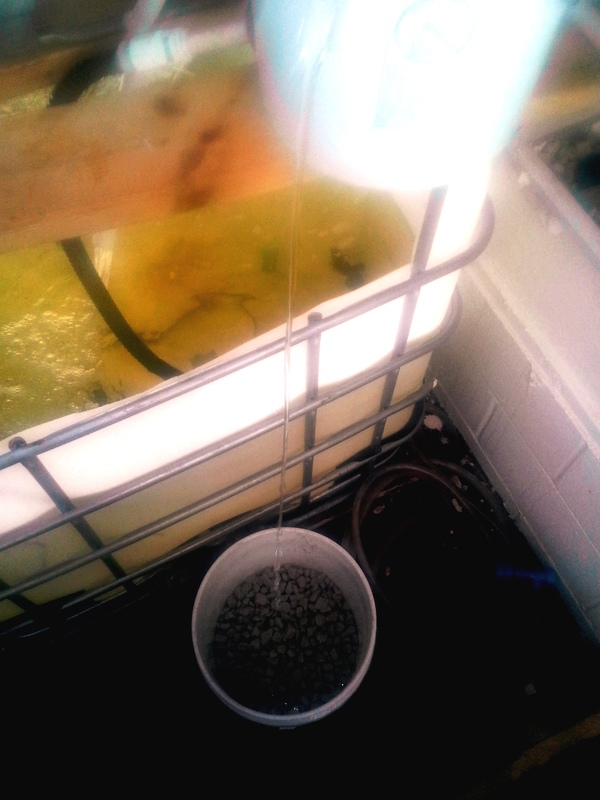 Drain will now flow freely, pulling all heavy solids up tube and into a drain bucket. 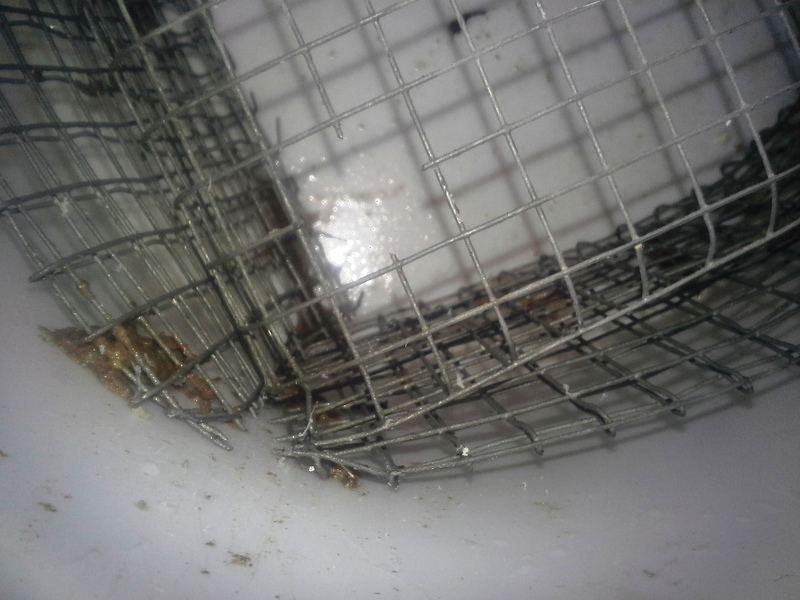 To stop drain flow, simply raise flex tube to allow water to drain back into bucket and return to normal level. Note: you may have to shut off pump for just a moment to allow water to return to normal. 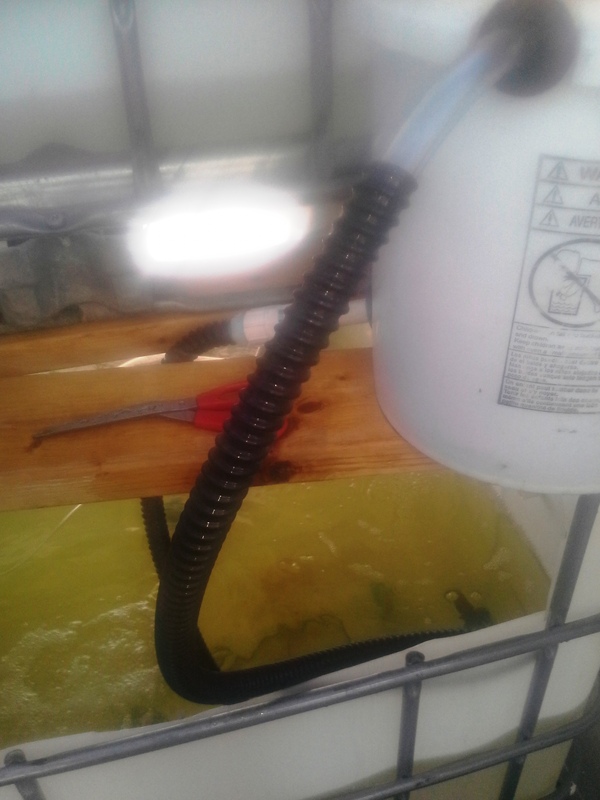 To prevent any accidental overflow I slid a larger flex line over the drain flex and routed back into tank. 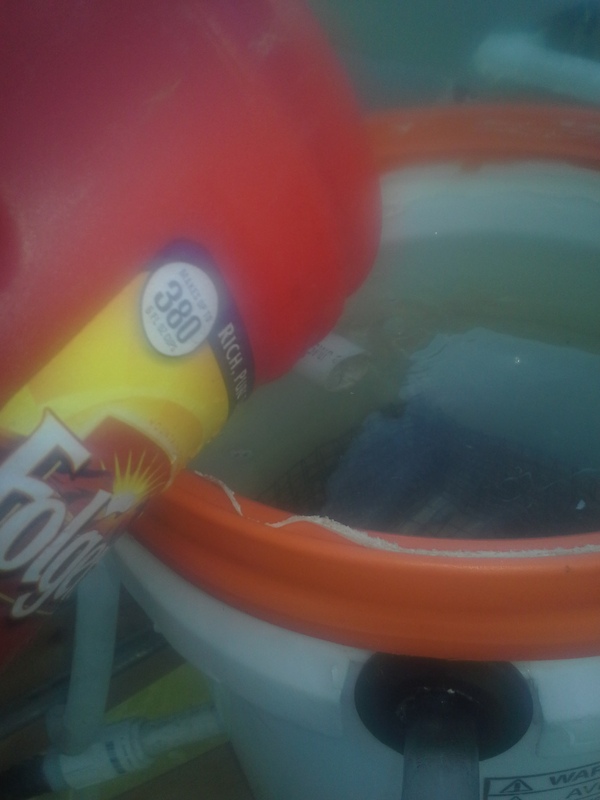 If your normal water outlet becomes clogged and bucket accidentally overfills, you do not want it draining your tank onto the floor! It took me about 10 minutes to add this drain system, but will save me a vast amount of time dealing with filter maintenance. Yea I will still have to tear down the filter occasionally to clean or replace filter material, but I don’t think it will be as often.